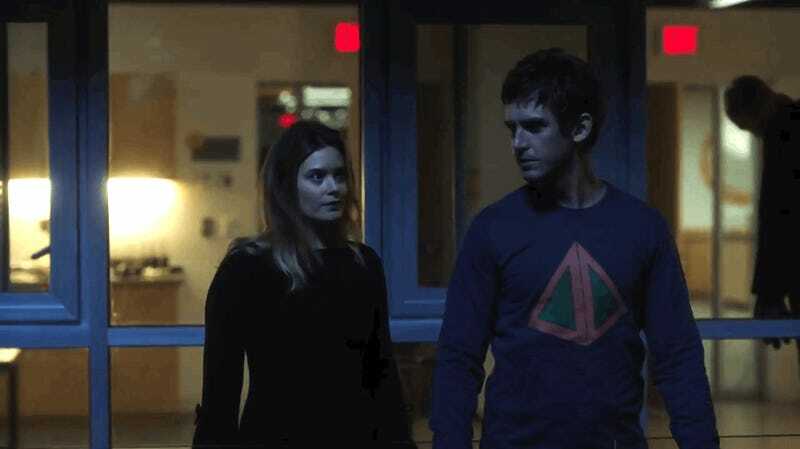 If you’re like us you religiously tuned into every episode of Noah Hawley’s Legion. You delighted in how the show used the concept of humans with reality warping powers to actually warp reality (on television) and you really dug the show’s supremely psychological take on telepathic warfare. You were also probably a massive fan of Aubrey Plaza’s measured performance of calculated madness. But if you’re like us you were also profoundly confused by the final scene of the season finale. Thankfully FX has made that final scene available online. So now we can all watch it repeatedly and ask ourselves: what the heck is going on? If the drone is any indication, we’ll likely see more of the war starting next season. Hawley sort-of confirmed that the drone was the mysterious-sounding Equinox that Division 3 mentioned in the season finale, meaning it’s an original concept for the show and not tied to Magneto. When asked about the Equinox, Hawley said, “If you stuck around for the end scene after the credits, maybe you have a sense of it.” If David’s being taken to one of Division 3's facilities, I’m sure he’ll discover what else they’ve been up to. But sound off in the comments below with your own theories on who sent that ball along to kidnap David.